This domain is found in a variety of bacterial and fungal hypothetical proteins of unknown function. The structure of this domain has been solved by structural genomics. 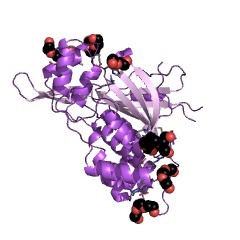 The structure implies a zinc-binding function, so it is a putative metal hydrolase (PDB:3iuz). 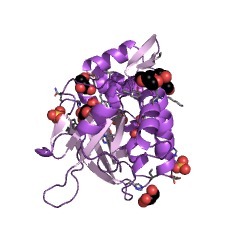 This domain is found in a variety of bacterial and fungal hypothetical proteins of unknown function. 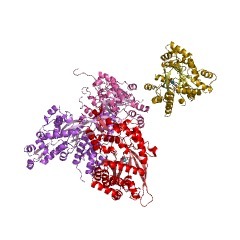 The structure of this domain has been solved by structural genomics. The structure implies a zinc-binding function, so it is a putative metal hydrolase (information derived from TOPSAN for PDB:3iuz). There are 4886 DUF1338 domains in 4886 proteins in SMART's nrdb database. Taxonomic distribution of proteins containing DUF1338 domain. This tree includes only several representative species. The complete taxonomic breakdown of all proteins with DUF1338 domain is also avaliable. Click on the protein counts, or double click on taxonomic names to display all proteins containing DUF1338 domain in the selected taxonomic class.